The brilliance of a gemstone is often overlooked, yet it is one of the most important determinants of a stone’s look. Brilliance describes the amount of light that a cut gemstone reflects back to the viewer from the interior of the stone. 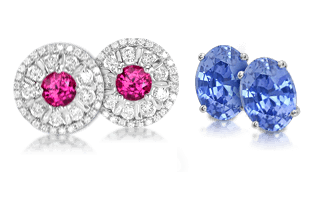 Brilliance is a consequence of cut, and it is an important characteristic because it determines the perceived liveliness and color of a gemstone. 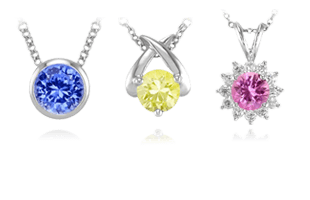 The brilliance of a gemstone is determined by the path light takes as it travels through the stone. White light entering a gemstone from above travels through the gem in a straight line. As it does so, some of the component colors of the visible spectrum are absorbed. 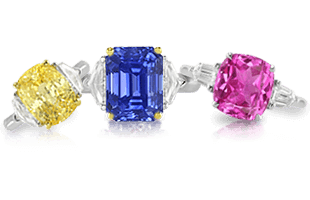 The spectral colors that are not absorbed determine the stone’s color. For example, an emerald will absorb most of the red, and some of the blue and yellow portions of the visible spectrum, leaving mostly green to be reflected back to the eye of the viewer. 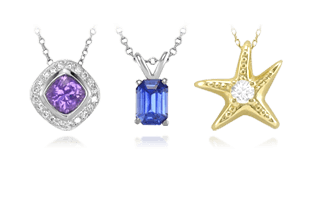 When light passing through the crown reaches the rear or pavilion facets of the gemstone, it can either travel out through the bottom of the gemstone or reflect back into the stone, depending upon the angle at which it strikes the facet. Examples of good and bad brilliant cutting results. If light passes straight through the stone, it will not return any brilliance to the viewer. Light that reflects off of the pavilion facets, and then exits the stone through another part of the pavilion, will not return any brilliance to the viewer either. Only those light rays that reflect back out through the crown of the gemstone toward the eye of the viewer provide brightness and color. These rays account for a gemstone’s brilliance. More examples of brilliant gemstone cutting. 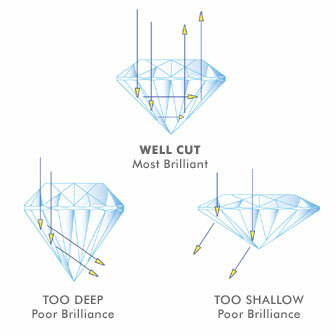 To evaluate brilliance in a cut gemstone, hold the stone level under overhead light and look directly down at the crown. Any pale or weakly colored areas are considered windows in the stone. A window is an area where light passes directly through a cut stone without reflecting back to the viewer. 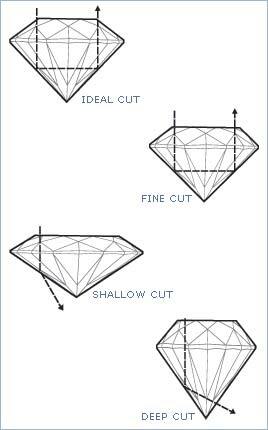 Even the most carefully cut gemstone will show windows at certain angles, but windowing should be minimal, or completely absent when a stone is viewed from directly above. Areas of the stone that look very dark are called extinction areas; sections of the stone where light leaches out of the sides of the pavilion, rather than reflecting back to the viewer. These are areas of a transparent gemstone where the body color looks very dark to black. Usually this is caused by improper cutting. Next, discover the other elements of rating gems in Determining Gemstone Quality | A Guide to Judging Gemstones.